The licence for the pneumococcal conjugate vaccine Prevenar 13 has been extended to include adults 50 years and older. The pneumococcal conjugate vaccine – the first to be licensed for adult use – is indicated for the prevention of invasive disease caused by Streptococcus pneumoniae in people aged ≥50 years. It is given as a single 0.5ml intramuscular injection and may be administered at the same time as the trivalent seasonal influenza vaccine. 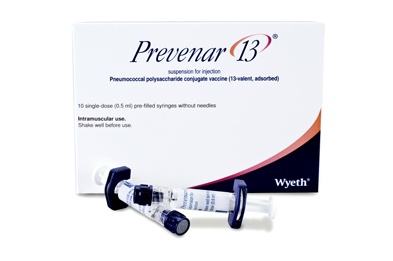 The serotypes included in Prevenar 13 (PCV13) are responsible for the majority of cases of invasive pneumococcal disease (IPD) in adults aged 65 years and above in England and Wales, and the vaccine is expected to protect against seven of the 10 serotypes most frequently responsible for IPD. The immunogenicity of PCV13 in adults was demonstrated in two pivotal non-inferiority trials with the 23-valent pneumococcal vaccine (PPV23; Pneumovax II): one in adults aged 60–64 years not previously vaccinated with PPV23 and the other in adults 70 years or older who had received PPV23 at least 5 years earlier. 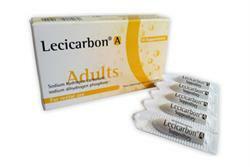 The first trial also included a group of adults aged 50–59 years who received open-label PCV13. Functional antibody responses to PCV13 met the criteria for non-inferiority to PPV23 in both studies. Among vaccine-naïve adults 60–64 years of age, antibody responses were significantly higher to PCV13 than to PPV23 for eight of the 12 serotypes common to both vaccines and for serotype 6A (not included in PPV23), with comparable responses for the other four shared serotypes. In previously vaccinated adults aged 70 years and over, antibody responses were significantly higher to PCV13 than PPV23 for 10 of the 12 ‘shared’ serotypes, non-inferior for the other two shared serotypes and significantly higher for 6A. For all serotypes, the response to PCV13 in adults aged 50–59 years was non-inferior to the response in adults aged 60–64 years.